Note that adjustment of playback speed is not possible with certain file types, particularly video files. 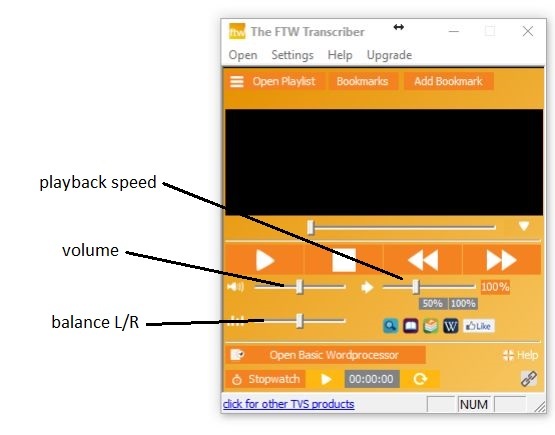 Try converting audio files to wav and video files to mpeg. If all else fails, you can try slowing a file’s speed in a separate file editing program such as Goldwave.